How Does the Manufacturer Repair Your Hearing Aids? A hearing aid manufacturer not only makes and sells hearing aids, but they all check and fix hearing aids. Really? How do they do that? A hearing aid manufacturer knows the inner workings of the hearing aids that they manufacture or make so they truly are the best to know what is wrong with your hearing aid when it stops working. Once a manufacturer receives a hearing aid in need of repair they will troubleshoot to find out what the answer could be to why it is not working and how they can fix it. The manufacturer will look over the information that was sent to them by the hearing health professional. They will go over the complaint that the patient had when they came in to see the hearing health professional and then they will go over the findings of the hearing health professional. The manufacturer will then perform their own diagnostic test on the hearing aid in question using a hearing aid chamber analyzer. They may also hook the hearing aid up to the programing system they have to run some more tests as needed. At this time they will also look over the hearing aid checking the tubing (as needed), the vents, the microphone and the receiver checking to see if anything is out of place or plugged. Once these basic tests have been performed it is time to take a look inside of the hearing aid. They check all of the working mechanical components of the inside of the hearing aid to see if anything is wrong there. They will check the placement of all of the parts as well as the placement of the microphone and receiver in case they have moved but were unable to notice the movement from the outside inspection of the hearing aid. After all of the testing and visual inspections have been completed, along with a good cleaning, the hearing aid is ran through the hearing aid chamber analyzer again to ensure it is working at the specification that the manufacturer has set out for this hearing aid. 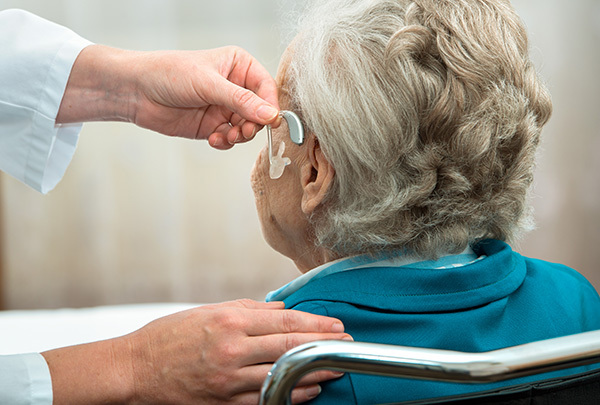 If it is working up to their standards after being fixed they will send the hearing aid back to the hearing health professional to reprogram to the patients specific hearing loss needs and then return the hearing aid to the patient. There may be times when the damage to the hearing aid is beyond repair and a new hearing aid will need to be purchased by the patient. There are also times when there is a manufacturer defect that cannot be repair and then the manufacturer will need to handle the situation to replace the unrepairable hearing aid. If you believe there is a problem with your hearing aid or that it is not working properly, see your hearing health professional as soon as possible to get it looked at and fixed because the longer you leave it the worse the damage could be.